Jon helps businesses to be more successful through a better understanding and use of marketing and technology. 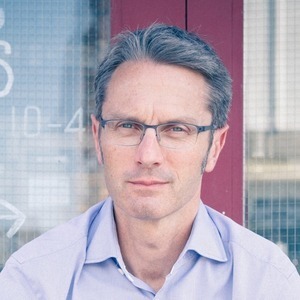 Jon is the Founder of Hull’s Tech community, Hull Digital, Founder of Hull’s Tech Conference, HDLive, Co-Founder of C4DI, runs his own consultancy, Theappleofmyi and the Remarkable Business Workshops. He has 20 years experience of business, technology, marketing and founding communities. He has worked in many sectors including healthcare, luxury goods, property and education. He has lived in Italy, Asia and Australia and now resides in the fabulous City of Hull where he is a proud Board member of the UK City of Culture 2017. He also loves riding his bikes. Preferably somewhere warm. Jon Moss has hosted nine Episodes. The first show in over 15 months (I know, I know...!). We are back with a very special guest from the wonderful world of coffee, Steve Leighton - the man, the myth, the legend! A fascinating interview with Jeff Kofman, an Emmy award-winning journalist who has founded Trint - Transcription Reinvented. I also report back on how my "digital nomad" adventure in Chiang Mai and announce my side project, Stelv.io! An interview with Sean McCabe, also known as Sean Wes who has just launched a new book called Overlap. Overlap helps you go from overwhelmed and feeling stuck to getting clarity and creating financial freedom. If you want to start a business (without quitting your job and hoping for the best), this episode is for you. Sean gives a huge amount of practical advice and tips. This episode's guest is Brendan Dawes. Bren is an artist and designer. He explores the interaction of objects people technology and arts using form and code. He's also the author of two books on Interaction Design. His work is featured in the permanent collection of New York's Museum of Modern Art and has been honoured in awards including Fast Company innovation by design, Information is Beautiful and D&AD. He also loves pens and English sneakers! 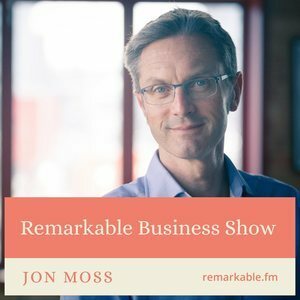 Episode 2 of The Remarkable Business Show! I talk with Dusty Davidson who is the CEO and Co-Founder of Flywheel. Flywheel is a company based over in Nebraska, Omaha who do the very best hosting for Wordpress. Dusty talks about what makes them special plus the importance of a great workplace and culture. We also discuss the joys of home AI plus his favourite cooking gadget! The very first Remarkable Business Show! I talk with Kevin Abt from Wahoo Fitness about how they are innovating in the cycling space and the importance of the smartphone in their success. I also talk briefly about using an Android phone, the OnePlus 3T for the first time.